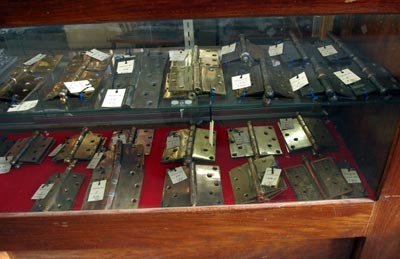 We carry door hinges of all shapes and sizes. From the hand forged cast iron hinges of the 1800's to the strap hinges of the pre-Civil War era, to the beautiful victorian steeple pin hinges to the classic ball pin hinge. If you are in need of any type of hinge, please contact us and our experienced staff will be more than happy to assist you in your search.